Beautifully built by J.M.Peters in the desirable Almeria community in Tustin Ranch. Four bedroom, corner lot pool home with an en-suite in each room! Also a large bonus room perfect for an office or kids room. 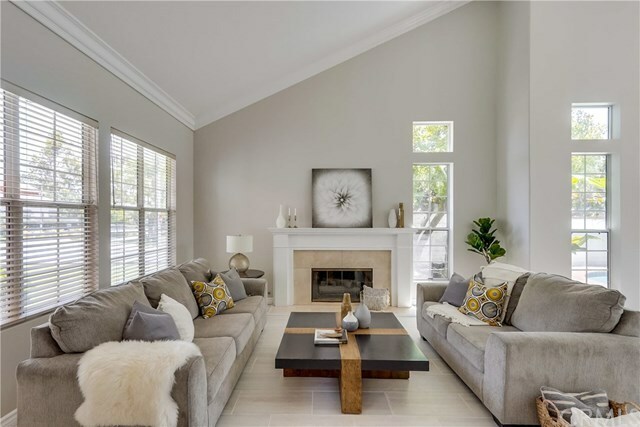 Spacious living room with beautiful hardwood floors and a fireplace perfect for winter nights. The vaulted ceilings in the living and dining room make the home feel grand! If you thought your living area ends there you are wrong - the family room is the perfect spot to cozy up at the end of the day. Your gourmet kitchen offers stunning quartz counters and built in appliances. Step outside the french doors into your own private getaway. Mature tropical palms shadow your large pool and spa! Step upstairs into your luxurious master suite with vaulted ceilings, beautifully upgraded master bath and cozy fireplace. Every room in this home is generously sized with private baths. Add your 3 car garage, the professionally done landscaping. Located within award winning Tustin schools, nearby shopping, dining, theaters, parks & golf course. This home is anyoneâs dream and it could be your reality!